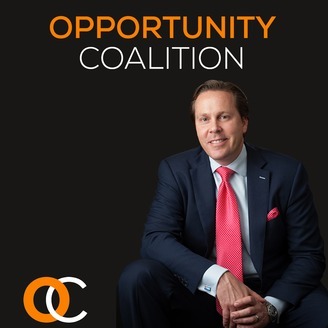 Welcome to the Opportunity Coalition Podcast where our Founder and CEO, Brian Watson, interviews some of the most accomplished and well respected influencers from around the world. Pete Hegseth, CEO of Concerned Veterans for America, interviewed by Opportunity Coalition’s CEO, Brian Watson. Pete Hegseth serves as Chief Executive Officer for Concerned Veterans for America. Prior to this, he served America with distinction in military service. Pete appears regularly on Fox News Channel as a contributor—including weekly segments on FOX & Friends and The Kelly File. He has appeared on numerous CNN, MSNBC, The Blaze, and C-SPAN programs. He has written multiple columns in the Wall Street Journal and Washington Post; and is a frequent contributor to National Review Online. Pete is interviewed by Brian Watson, Founder and CEO of the Opportunity Coalition and Northstar Commercial Partners. To learn more about Pete and Concerned Veteran's For America, visit their website: http://cv4a.org. 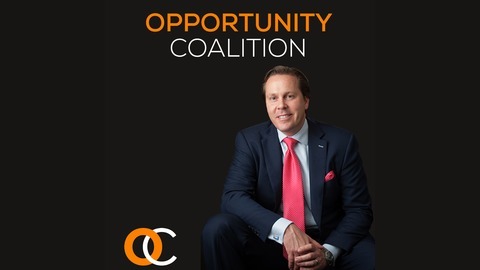 Richard Martinez, President and CEO of Young American’s Bank interviewed by Opportunity Coalition’s CEO, Brian Watson.